2015 what a year! I turned 50, got engaged, got married and had my book published! Packed it in! The best thing for me is that the book that I thought I would print 500 of and has taken off! Second print run of 2,000 and needing more soon! Here are Leeds Uni students discussing the topics over a glass of well earned wine at the end of their exams. 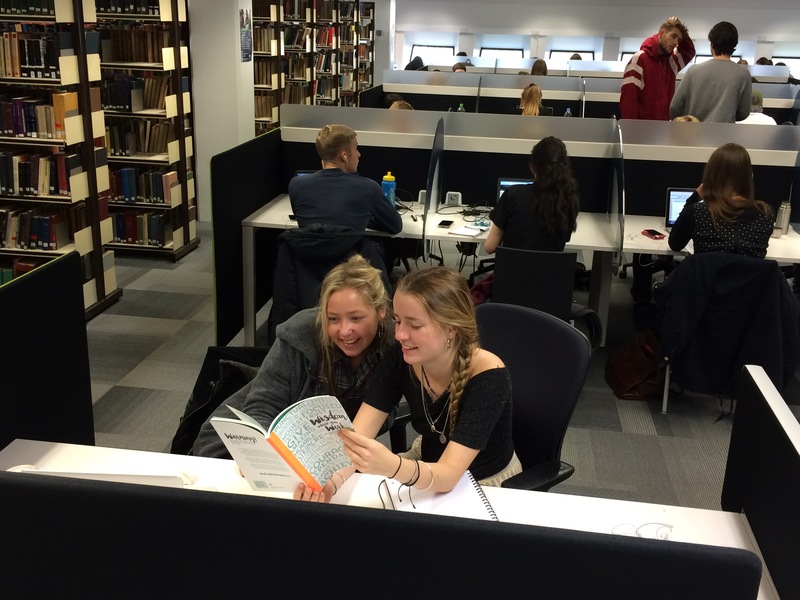 Two of them used the book to motivate them throughout and they used it for notes in their lectures too! 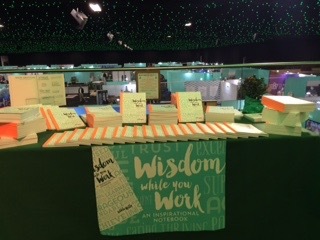 I have sold it into 10 schools so far and my only New Years Resolution is to SELL SELL SELL to HELP HELP HELP all young people with messages of Wisdom from Wisdom While You Work! I must practice what I preach.. If you want to be really good at something, focus your mind on it….. Again and again! Page 6! HAPPY NEW YEAR EVERYONE and thank you for supporting me in my venture. You have been really kind. Please continue to spread the word! http://www.schoolsshow.co.uk/ Battersea Park Saturday and Sunday 14/15 November. It actually happened – and so much faster than I thought! I have nearly sold out of my 1st edition which is so exciting! I have bitten the bullet as after selling the first 500 books in less than 2 months I have ordered 2,000! Crumbs alive that will get me out of bed in the morning! It is being very successful in Schools and Universities being used in all sorts of ways. Subjects for thoughts of the day in assembly, in PSHE or Social Education classes, as prizes and presents and in Drama classes acting out the Wise words – thanks for all the feedback everyone and do keep letting me know where you use the book! I am simply delighted with the reaction to the book and thank you to my family and friends for all their help in marketing it. Don’t stop, remember there are 2,00o to go before the 3rd edition and the next book! Mate’s rates and all that! Well, my supportive friends – may I thank you for all your amazing orders, I have sold over 200 books and I have even had repeat orders for more! The reaction is overwhelming so thanks for that. I have now launched the site to the world and I will be marketing it to the best of my ability – so fingers crossed. The feedback has been very encouraging, especially from 3 teachers who want to use it as an idea tool for lessons of discussion and debate in moral subjects. That thrills me because the idea behind this book is to help the young of today in any way. So if anyone has any further ideas do let me know. More news soon…. The Day the Books arrived! Finally after two years of fun and hard work the great day arrived or should I say the great big lorry arrived – too big to fit down the lane! 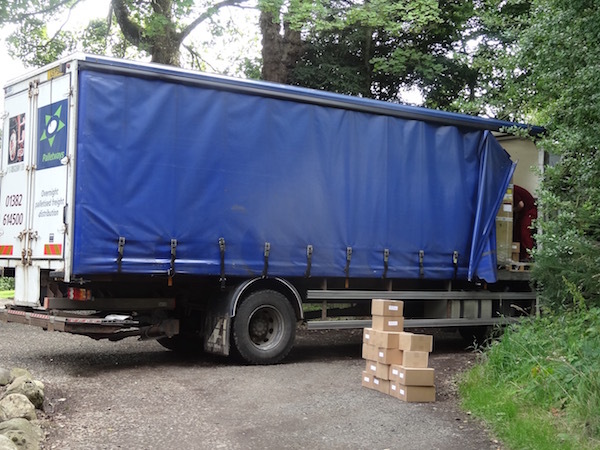 So there was only one thing to do – the nice lorry driver unloaded the boxes by hand from a pallet and I loaded up the car box by box and drove them home – all 3 journeys. However, it didn’t matter to me, I was just so over the moon they were here and I could touch and feel them! I was thrilled and overwhelmed but I had to wait 2 hours to scream and shout and celebrate with James, my husband – and of course, drink champagne – the the lorry had arrived when I was totally on my own. I gave the lorry driver the first signed copy as he has 4 children and was so helpful! So here we are – all ready to sell! I better get on with it! 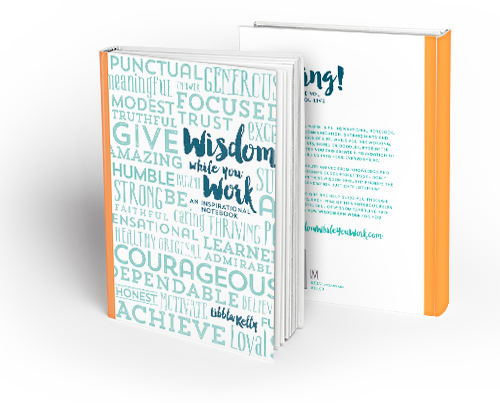 Welcome to the Wisdom While You Work blog which will keep you updated with news about when you can buy your copy (or maybe copies) of Wisdom While You Work. 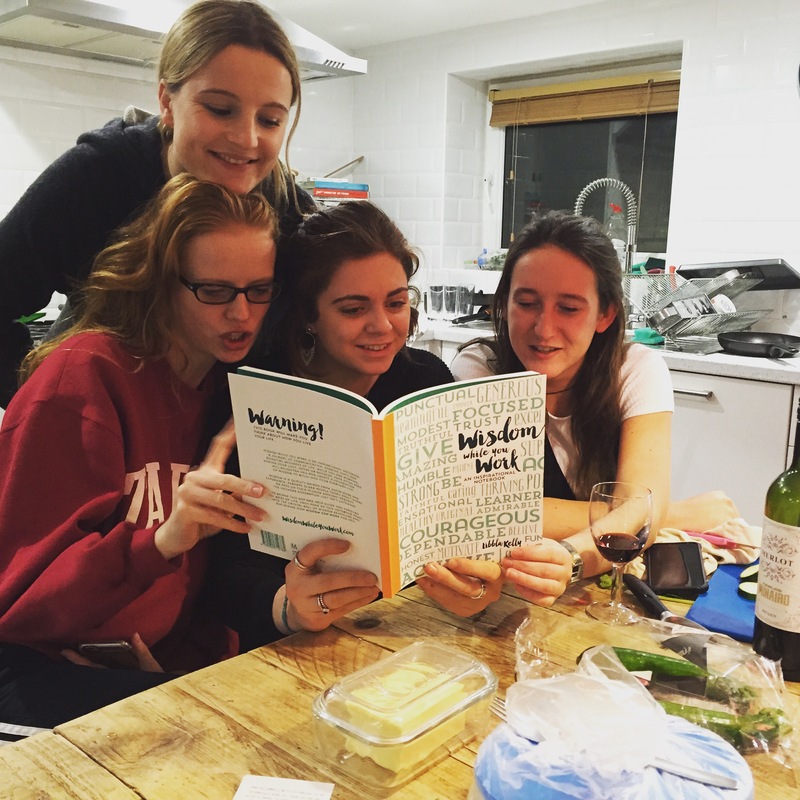 It’s the perfect Christmas gift for those difficult-to-buy-for young people in your life – entertaining, informative and useful- what more could you (or they) want? !